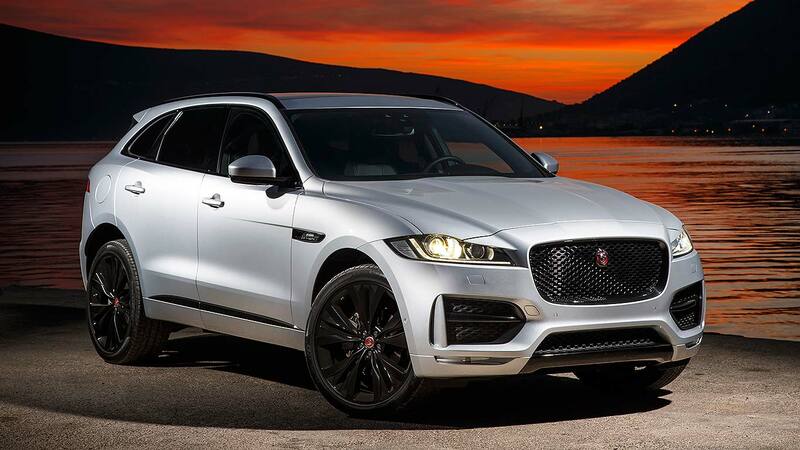 The new Jaguar F-Pace SUV would have caused controversy a decade or so back. Not today. The question has long been when will Jaguar make its first SUV, rather than should it make one at all. At the 2015 Frankfurt Motor Show, the F-Pace finally arrived: now, ahead of deliveries beginning in the spring, we’re driving it for the first time. Porsche Macan, watch out: engineers admit that, after being surprised by how impressive it was, they targeted benchmarking focus on it. They tried a BMW X4 too, but soon dismissed it; the Audi Q5 is another alternative, simply because it sells so well, rather than because the ageing five-seater is a particularly standout benchmark standard. So we have a well-proportioned, well-formed machine with a sleek roofline, elegantly formed bodysides and beautifully sculpted rear haunches. It’s a tall SUV, but not a square and boxy one. 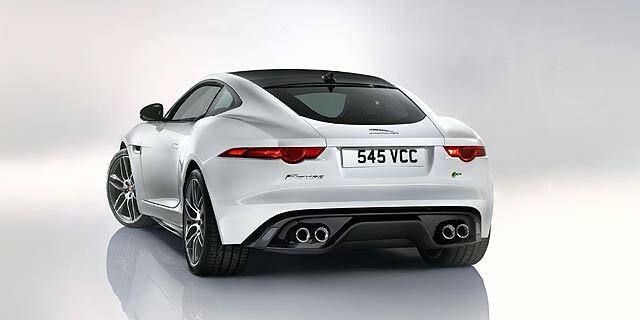 The detailing is terrific, not least the power bulge in the bonnet and the F-Type rear lights. 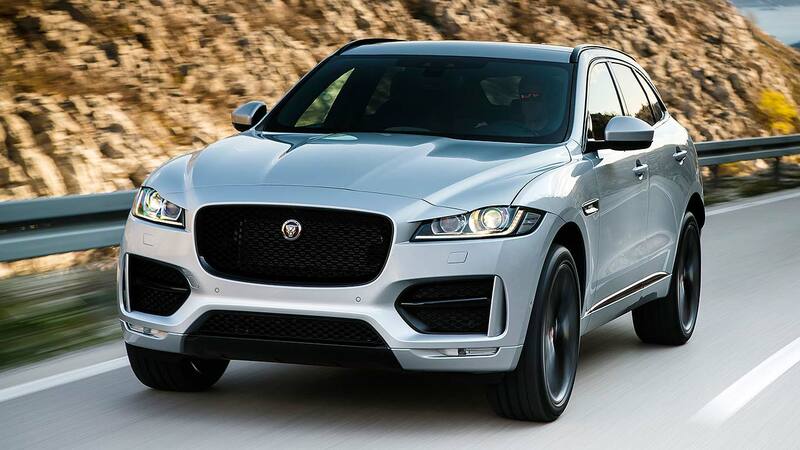 Jaguar’s offering the F-Pace with a 180hp 2.0-litre four-cylinder turbodiesel that almost everyone will buy, plus a 300hp 3.0-litre V6 turbodiesel and a 380hp 3.0-litre V6 supercharged petrol for top-10% bragging rights. There’s a rear-drive entry-level machine for tax-conscious fleets; the rest will be all-wheel drive. 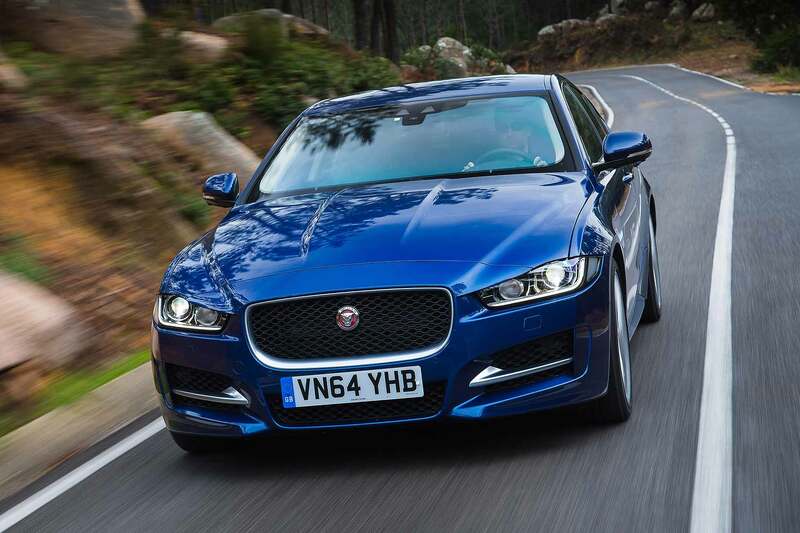 It’s derived from the same aluminium-intensive architecture already used by the acclaimed Jaguar XE and Jaguar XF. 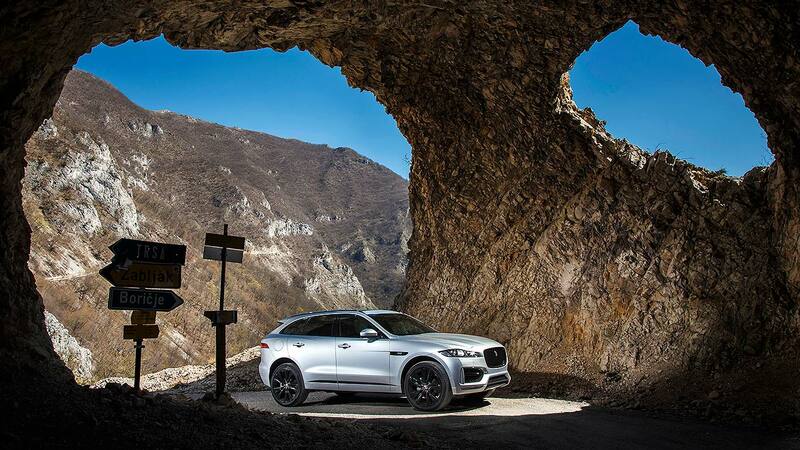 The building blocks are good – and Jaguar created this scalable platform with an SUV in mind. It’s no compromised saloon-derived machine, this. Prices are what puts the cat amongst the pigeons. Well, sort of. 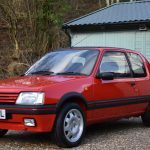 They start at an impressive £34,170 for the fleet-friendly Prestige diesel, although they then build: £2k for AWD, £1,750 for the default automatic gearbox, £2,500 for the sporty R Sport trim Brits so love. It means the 2.0D 180 AWD R Sport diesel that’s the core of the range costs £40,360. A Macan diesel starts at £46,182, but admittedly has a 258hp 3.0-litre V6 – Jaguar’s 300hp twin-turbo V6 diesel costs £51,450. But then, an Audi Q5 2.0 TDI 190 S line Plus quattro S tronic costs £39,595; the F-Pace is part price star, part on-market par. 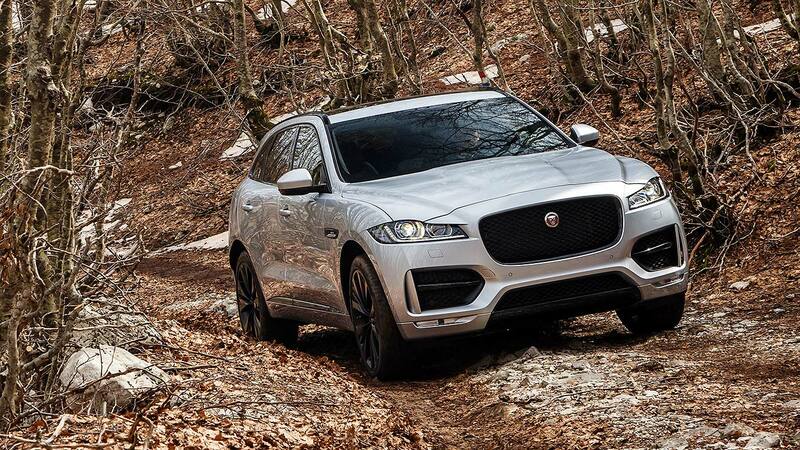 Jaguar is confident the F-Pace will become its best-selling car ever. It’s almost as if the Jaguar revolution was warmed up with the XE and XF saloons it knows how to do so well, before the big bang of the Jaguar SUV was rolled out. Now, it’s here, and the stakes are high. 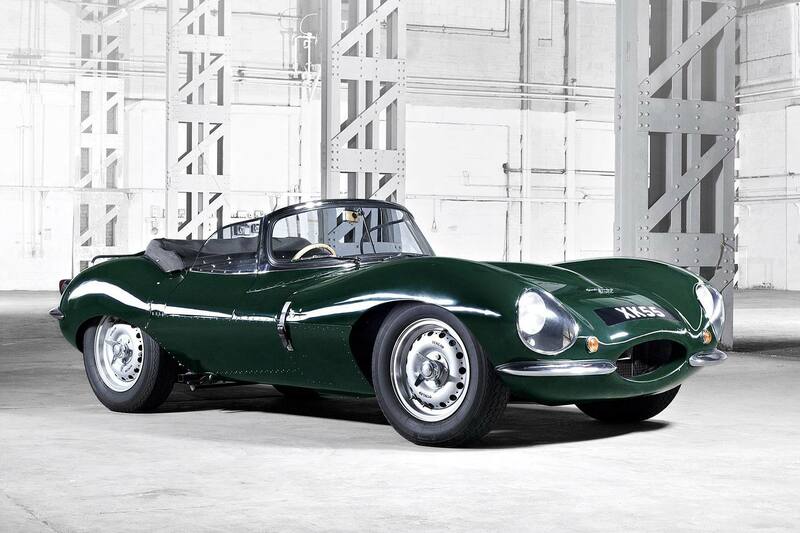 Is this the car to make Jaguar firmly grab a share of the modern premium car sector? 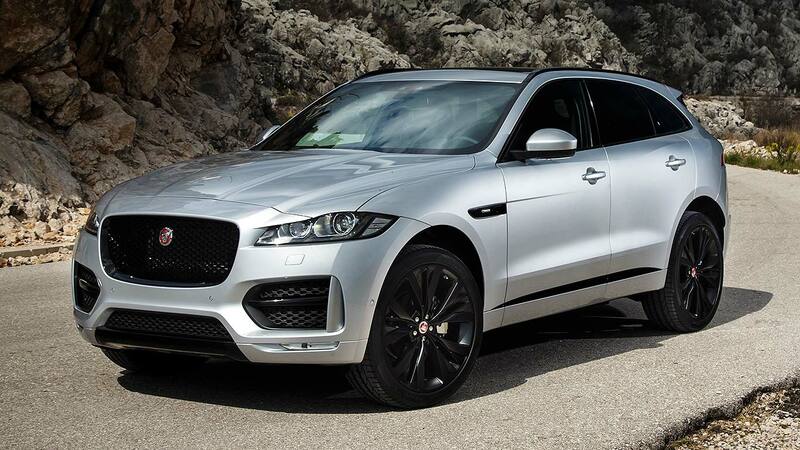 Does a Jaguar SUV handle like a Jaguar or like an SUV? Pleasingly, the former. You step up high and look down upon the bonnet bulge (and normal saloons), and high sides with broad shoulders mean you’re not sure what to expect: but the great Jaguar driving dynamics we like so much in XE and XF are still present here. A super-stiff structure and levels of lateral suspension stiffness measurably greater than the Macan give the F-Pace excellent fundamentals. It feels reassuringly like a solid, premium machine on the move. It’s also very precise, with the familiar Jaguar steering accuracy and ease of placement through bends (once you’re used to the quick steering gearing, that is). The front axle is very strong and direct, encouraging you to lean on it without suffering squishy, lollopy body roll as a reward. 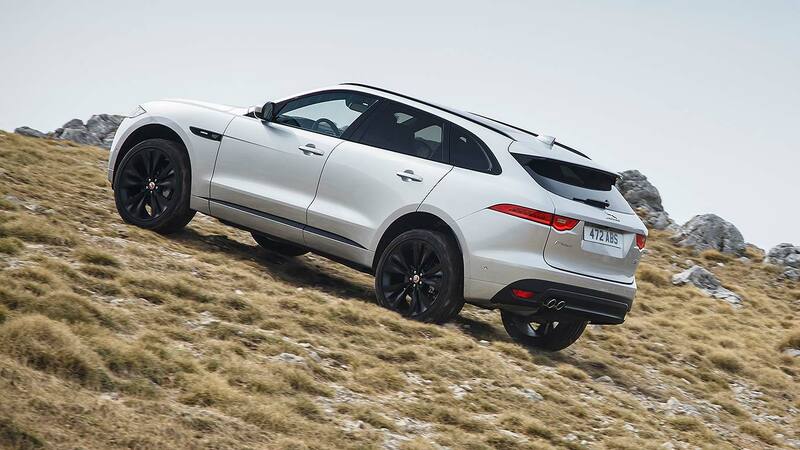 The F-Pace flows as finely as all modern Jaguars, changing direction with little effort, sending back lots of reassuring road feel, generally feeling light on its feet. Steering doesn’t have any particular feel but it does weigh up in bends and the rear-biased AWD feels great when deploying heavy-foot torque out of bends. Predictably, the fruity 380hp petrol V6 S is a lot of vocal, wailing fun: it is an F-Type engine, after all (the exhausts’ bark can be felt through the floorpan, for heaven’s sake!). The hushed 300hp twin-turbo V6 diesel is preferable though, with a cultured timbre and monumental torque. 516lb-ft from 2,000rpm makes light work of the diesel S’ chunky 1,884kg kerbweight. The surprise engine is the 2.0D. in a good way. In the XE, this is too noisy and clattery. Here, it’s been silenced considerably. Jaguar’s taken away the gruff rattle, left the mechanical whine (generally nicer than the usual diesel drone) and, most importantly, made it far smoother and more cultured. The Montenegro launch roads were, in places, atrocious. 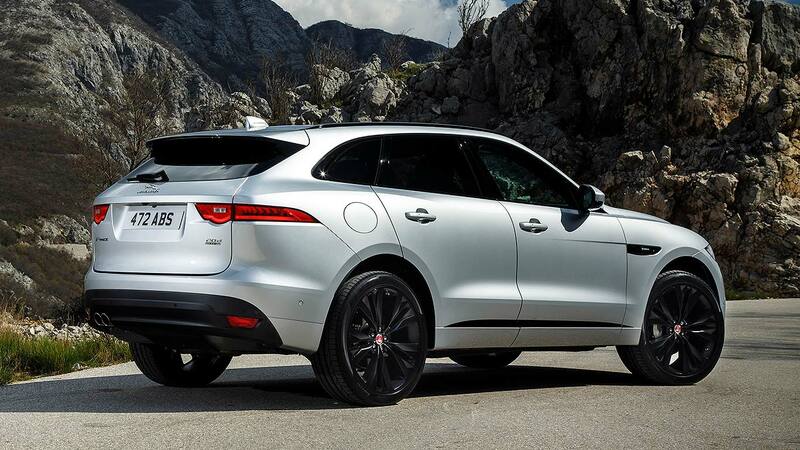 Enter another F-Pace strength, ace ride quality. 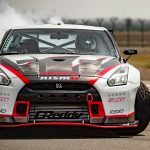 Long-travel suspension and expert spring and damper balance give it compliance without softness or wallow, meaning it can be thrown down scarily broken and undulating roads at a heck of a lick without fearing a crash, bang or stomach-churning lift. Body control is superb and the F-Pace is unruffled by almost everything it’s thrown into. It even works on 22-inch wheels, amazingly: they’re the biggest-ever factory-fit mid-size SUV wheels and Jaguar pulls it off without turning the ride awful (although engineers will privately admit 20”s are optimum: we’ll do it publically). A class act then, beyond its SUV payscale? Not quite. It’s not quite a Macan-beater and is best up to eight-tenths: push it more than this and you’ll feel the mass, sense the nose start to heave and the front end push. Brakes will also wilt when embracing its Jaguar-ness (no fade-free carbon ceramics here). Still, being more fun than a Q5, almost as good as a Macan and riding better than both of them isn’t bad, is it? Just one proviso: all the launch cars were running on Adaptive Dynamics suspension, the adaptive dampers that are standard on S models, a cost option on the 2.0D. 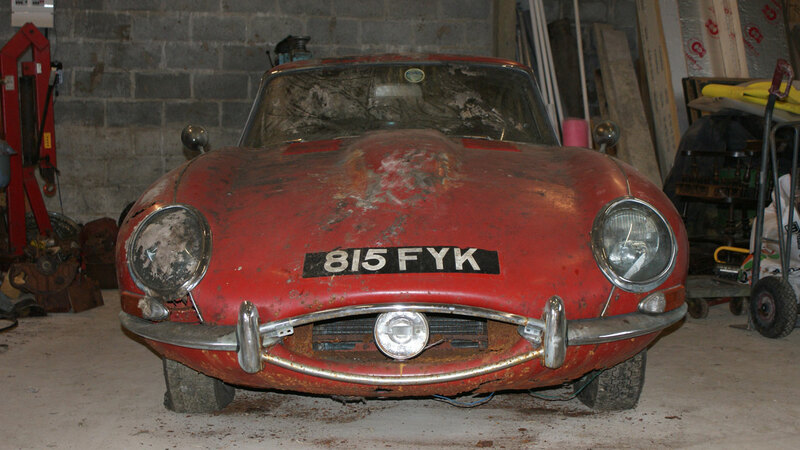 Will steel-sprung cars have such a broad spread of talents, such well-controlled body compliance over challenging roads? We’ll have to wait and see: our advice: tick the option box. 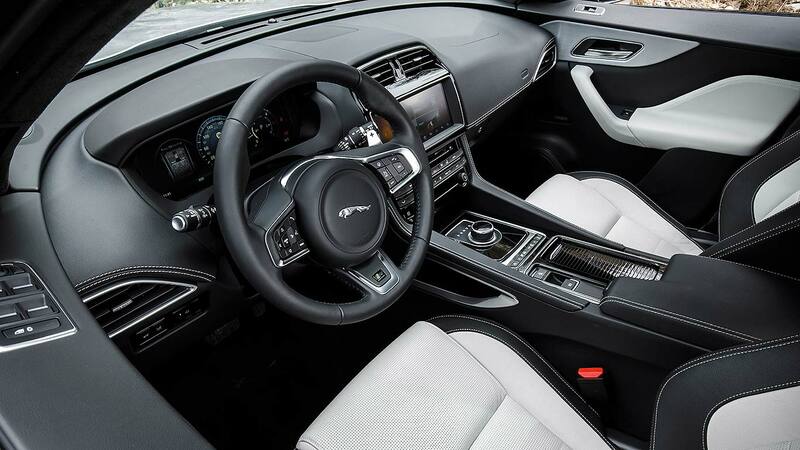 The simple, neat F-Pace interior delivers the Ian Callum modern Jaguar look that the XF and, in particular, the XE somehow fail to. A high centre console makes it feel more coupe-like than its steup height suggests and the neat detail touches all blend in well. 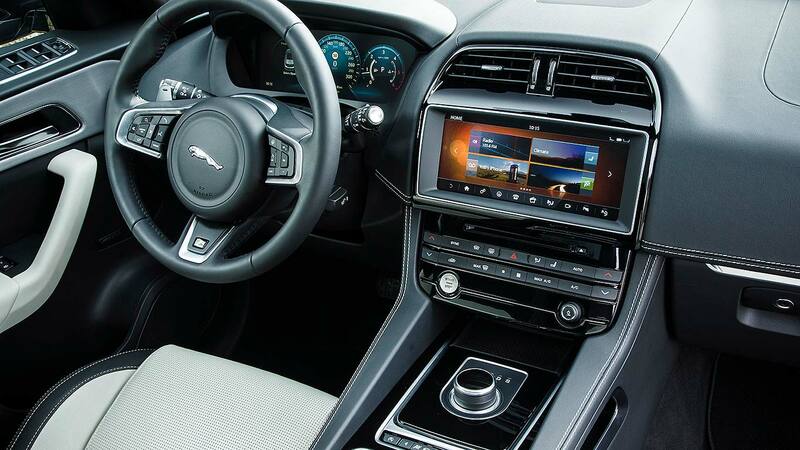 The centrepiece is the InControl touchscreen infotainment. Typically, it’s at its most impressive in optional InControl Touch Pro guise, whose fast-acting widescreen functionality so impressed on the launch: even standard cars get navigation included though, albeit from SD card rather than the Pro’s ultra-fast SSD hard drive. Wi-Fi internet for passengers is also standard. Normal F-Pace get the same cowled dials as an F-Type but even better is the electronic ‘virtual’ screen option, which even includes an Audi TT-style full-screen sat nav screen option. Choice R Sport cockpits have sports seats and steering wheel, leather-look dashboard and black roofliner. All F-Pace have plenty of space for five. You read that right. In the rear, it’s broad, boasts ample headroom and abundant legroom. Goodness, it’s even fuss-free to step in and out of, with wide openings and Land Rover-style sill-covering panels that keep mud away from trousers. The rear bench is perhaps a bit flat, but hey: give rear occupants four-zone climate control and reclining rear seatbacks to compensate. The boot is the biggest in the class. A massive tailgate (power operation is standard) reveals 650 litres of space (there’s more usable space than a BMW X5, claims Jaguar) that’s 1 metre wide and can carry loads 1.8 metres long. 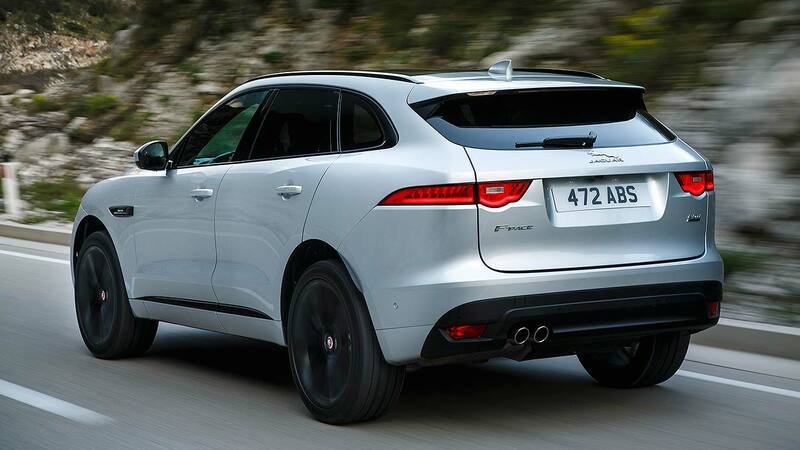 Jaguar decided from the very start to insist the F-Pace would be practical, and wouldn’t compromise on it: this shows. Practicality extends to its SUV abilities. With greater wading depth (525mm) and ground clearance (213mm)than any rival, plus an arsenal of off-road electronics trickery that Land Rover would be (is?) proud of, the F-Pace will off road, and not just the soft road type. Not only will it tow a 2.4-tonne braked horse trailer out of a muddy field, it will also safely drive up and down hillsides, crawl across rocky roads and even traverse mountainsides. That it does this while also handling with such precision – on the very same tyres – is quite remarkable. The F-Pace is a winner here, says Jaguar: it has the figures to prove it. One industry firm that works out whole life costs says the F-Pace will be £240 cheaper than a comparable Audi Q5 after three years and 60,000 miles. It will also be £3,107 cheaper than a BMW X4. And a whopping £10,734 cheaper than a Macan (and that’s despite the Porsche’s superb 53% retained value: the F-Pace is next-best on 50%). 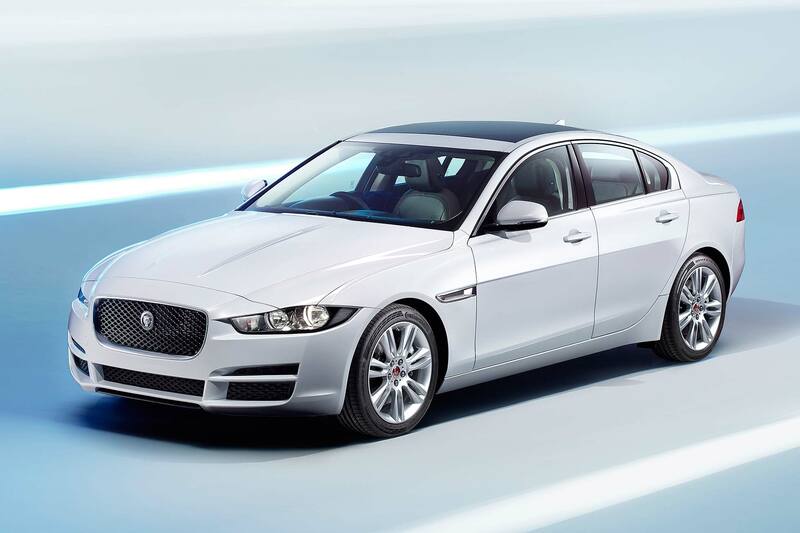 Jaguar wants to attract fleets with this car and knows low cost of ownership is critical. That’s why there’s a tax-break model that emits 129g/km CO2 (and all key models have lower CO2 than direct rivals – a Q5 struggles to get below 150g/km), that’s why all models are so well equipped and have such a focus on practicality. Half of all F-Pace customers will be coming from competitor SUVs and so being cheaper than the incumbents is clever. But the other half will come out of saloons, estates, crossovers and coupes: keeping the running costs hike under control here is vital. Almost across the board, from cheapest servicing bills to the lowest insurance group, the F-Pace promises competitive running costs. The biggest running cost is fuel consumption. The best F-Pace diesel returns 57.7mpg; add AWD and it’s 54.3mpg, add an auto and it’s 53.3mpg. The peachy V6 diesel returns 47.1mpg and even the F-Type-engine’d 380hp V6 petrol isn’t bad on 31.7mpg. 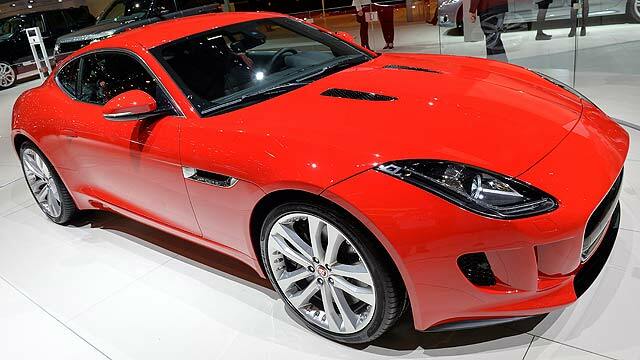 Land Rover makes SUVs, Jaguar makes sports cars. Land Rover hasn’t stopped Jaguar making an SUV though, just so long as it doesn’t ‘do a Land Rover’. It doesn’t. 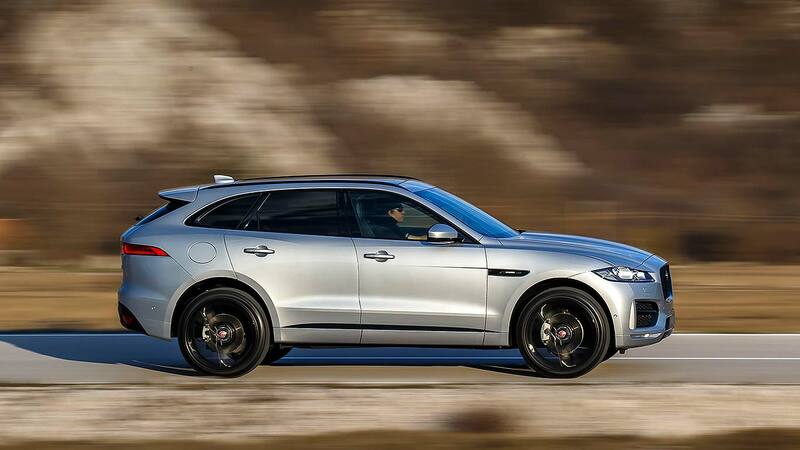 Just as the Macan is a surprisingly authentic Porsche mid-size SUV, so too is the F-Pace. It drives pleasingly well, almost as much fun as an XE or XF but with a huge amount of extra ability (and more comfort on give-or-take roads). The volume 2.0D engine is shown in the best light yet and both refinement and composure will make it a super car for high-mileage motorists. Only in extremes will the SUV compromises show up; most drivers will rarely experience them. And, would you believe, it’s practical. 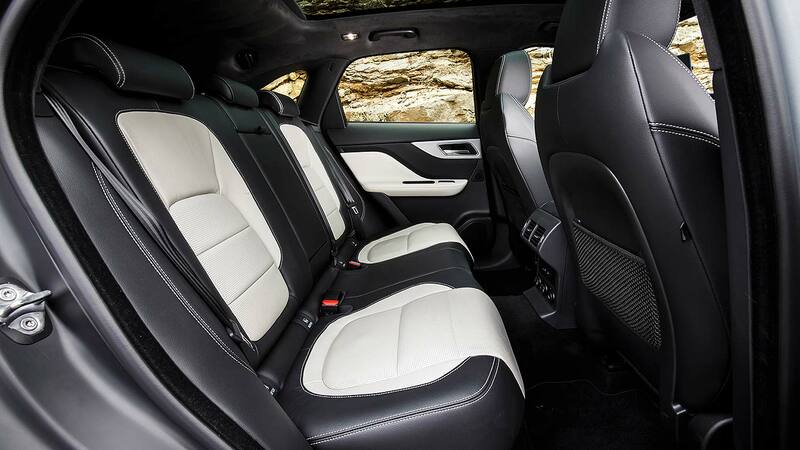 The cabin is roomy, flexible, the boot’s voluminous, it’s easy to use and the whole interior has a premium solidity that’s better than any Jaguar before it. The kit count is decent and prices are on the money. By Motoring Research star rating logic, it’s a five-star car: it’s the best car in its sector, the most appealing all round, and certainly the best looking. 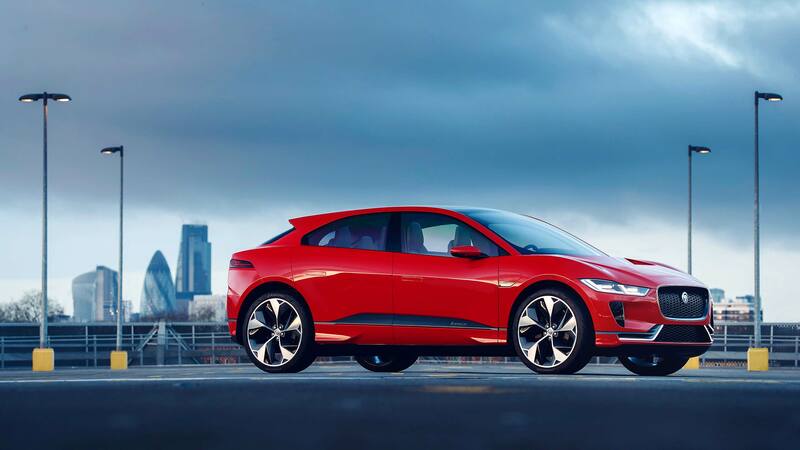 Jaguar’s biggest challenge now may be making enough of them, but what a nice problem to have.